This can't be easier. Open the cans, drain and rinse the beans, pour everything into a pan. Bring to a boil, then reduce the heat and simmer for about 20 minutes. This also can be made in a crock pot. 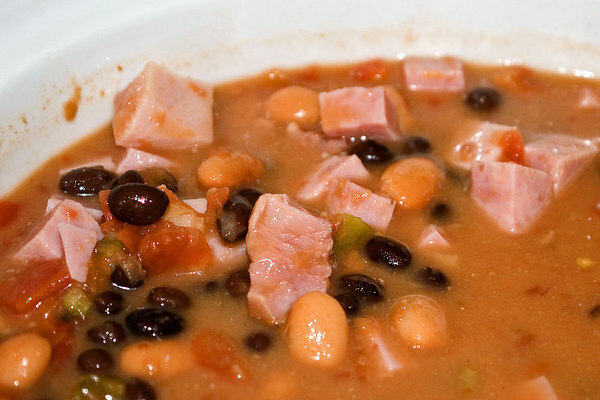 Variations: Add diced ham. Sub vegetable broth for the chicken broth. Sub the diced tamatos with the spicy version.